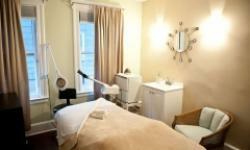 At A Touch of Bliss Organic Spa in Hartford, Connecticut, you enjoy an idyllic and pampering Spa experience in an atmosphere of tranquility, relaxation and sheer bliss. We are committed to ensuring that our clients leave our Spa feeling rejuvenated, refreshed, invigorated and planning a return visit. Therapies available at our Spa include a soothing hot stone Massage, ayurvedic ritual, facials, Yoga, organic skin care treatments and more. 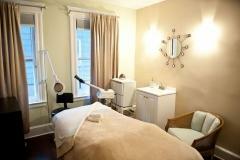 Facials include a consultation, Indian head Massage, skin analysis, exfoliation and more. Spoil someone special with a gift certificate from A Touch of Bliss Organic Spa, we also offer excellent Spa therapies that will have brides looking and feeling and looking confident and beautiful.